I just ran across this statement in a recent article (see below). It served as a reminder of something I have always preached, but from-time-to-time, tend to forget as I analyze cognitive ability test data, post research articles, or suggest hypotheses regarding test score differences---be it here at this blog, in a journal article, book, book chapter, or professional presentation. The point being that we must remain vigilant in remembering the "individual" in individual differences research. individuals to more accurately model individual process idiosyncrasies and similarities across persons. 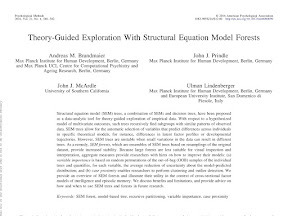 Particularly, in light of large-scale empirical data sets, aggregation is more likely to lead to models with low informative value about individual underlying processes as it is often difficult to expand prior hypotheses to account for the large number of potential explanatory variables. What do IQ researchers really think about the Flynn Effect? Overlap Between the General Factor of Personality and Emotional Intelligence: A Meta-Analysis. van der Linden, Dimitri; Pekaar, Keri A.; Bakker, Arnold B.; Schermer, Julie Aitken; Vernon, Philip A.; Dunkel, Curtis S.; Petrides, K. V.
Smalarz, L.; Scherr, K. C.; Kassin, S. M.
What is the Flynn Effect, and how does it change our understanding of IQ? 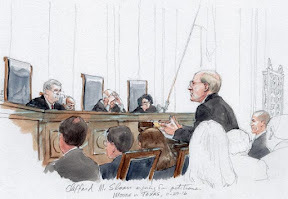 You can find an analysis of yesterday's oral arguments re Moore v Texas (hinging primary on adaptive behavior and Texas Briseno factors) a the SCOTUS blog. Another Atkins decision, this time from South Carolina. The court decided in favor of Bell's petition and considers him intellectually disabled and, thus, excusable from the death penalty. Decision can be found here. Tassé, Marc J.; Luckasson, Ruth; Schalock, Robert L.
In recent months, name calling and bullying have grown to unprecedented levels. Even as both the President and the President-elect signal the need for unity, social media is full of venom, talk shows remain full of virulent attacks, winners gloat arrogantly and losers bemoan angrily. In our culture, nasty has become the new normal. Our nation’s treatment of people with intellectual disabilities is more than enough evidence of this pattern. For them, labeling and ridicule are deadly serious problems. Labeling someone “retarded” isn’t a joke: it’s a sentence. People with intellectual disabilities are still institutionalized and abandoned because of the label. Isolation, unemployment and poverty are too often the norms. That’s why it’s so important that laws look beyond stereotypes and fears and protect rights and dignity. The Supreme Court has a chance to do that on Nov. 29, 2016, when Justices will hear Moore v. Texas and determine whether Texas overstepped in its standards for determining intellectual disability in death penalty cases. In 2002 when the Supreme Court handed down its landmark decision Atkins v. Virginia, it moved in the right direction. After suffering through centuries of injustice, people with intellectual disabilities won a small measure of protection when the Court ruled that any individual with an intellectual disability had vulnerabilities that made it unconstitutional for the state to execute them. The same court that in 1927 authorized the forced sterilization of people with intellectual disabilities in state institutions with the infamous words of Oliver Wendell Holmes, “three generations of imbeciles are enough,” this time got it right. In so doing, the court overturned deep and terrifying stereotypes and recognized what both science and experience should have long made clear: people with intellectual disabilities have abilities but also challenges: they are less able to advocate for themselves; more likely to be coerced into behaviors they don’t understand; less likely to understand the implications of their actions and at higher risk for unreliable trials and wrongful convictions. As a result of Atkins, the law of the United States now makes it illegal to kill a person with an intellectual disability—even for the state. But sadly, that hasn’t stopped the old stereotypes from remerging. When Bobby Moore, a person with an intellectual disability, was 14-years old, his father became enraged that Moore couldn’t read and threw him out on the street. As a teen, Bobby did not understand the days of the week, how to tell time, and other basic information and skills. But at the age of 20, Bobby was involved in a bungled robbery with two other people in which an employee was tragically shot and killed. He was convicted and sentenced to death. After a lower court found that Bobby had an intellectual disability and was therefore exempt from execution, Texas’s highest criminal court ruled that Bobby’s ability to play pool and mow lawns proved he never had an intellectual disability and could therefore be executed. 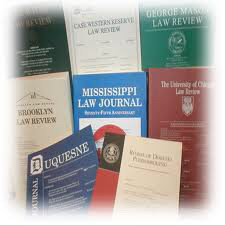 Remarkably, the court prohibited the use of current medical standards in evaluating intellectual disability in death-penalty cases and instead used its own unscientific approach and outdated stereotypes. The age-old tendency to label allowed the court to use age-old bias to create a unique set of Texas factors to determine intellectual disability while ignoring decades of science. It is especially shocking that these factors were and are based, in part, on John Steinbeck’s fictional character Lennie from the 1937 novel, Of Mice and Men. In this case, fiction and stigma trumped science and the Constitution. Never mind that the Texas factors for determining intellectual disability are not used in any medical or clinical setting in the nation. In fact, they’re not even used elsewhere in Texas. In countless situations where the state is responsible for determining intellectual disability, it uses current scientific standards. The inaccurate Texas standard reinforces one of the most damaging stereotypes about people with intellectual disability—that they can’t be “good” at anything. The reasoning is dangerous and flawed: if you can mow a lawn, you can’t have an intellectual disability. If you have an intellectual disability, therefore, you can’t do anything. Both are wrong—dangerously wrong. Happily, today people with intellectual and developmental disabilities are living longer and more productive lives than ever thanks to a deeper understanding of their strengths and more generous support for their challenges. In a time of otherwise hopeful change, Texas’ use of stigmatizing stereotypes is a dark blot on our nation’s laws and culture. Labels have consequences. What we may allow in public discourse, we should not and cannot tolerate in law. It’s time for the Supreme Court to remind our nation that the Constitution and the vision of rights it embodies have no place for ill-informed and deadly stigmas. Long v Davis (TX: 2016) Atkins COA denial is now posted in Court Decision blogroll. Also available by clicking here. I just noted that I had failed to post a copy of Walls v Florida (October 2016) decision to the blog roll of cases. It will be available under the Court Decisions blog role in a few moments. A copy can be accessed here. "According to a first perspective, higher initial levels of knowledge (or reasoning) could facilitate the acquisition of new knowledge (or reason-ing abilities), which has also been labeled Matthew effect1 (Fig. 1, Panel A). Even though the term was originally coined to describe the phenom-enon that eminent researchers often get more credit for the same scien-tific contribution than their unknown competitors (Merton, 1968), it has been applied to various psychological phenomena (e.g., Shaywitz et al., 1995; Stanovich, 1986). In the context of intelligence research, the knowledge-is-power hypothesis (Hambrick, 2004; Hambrick & Engle, 2002) assumes that prior knowledge is the best predictor of fu-ture learning within a given domain of expertise, even stronger than reasoning (beside the fact that the empirical support for corresponding compensation effects is rather weak). As a consequence, students who are already knowledgeable should show the strongest knowledge gains and the achievement gap would widen. Research on expertise suggested several psychological mechanisms accounting for such “fan-spread” effects (Walberg & Tsai, 1983), that is, with a profound knowl-edge base new knowledge can be processed faster, integrated deeper and retrieved more accurately (e.g., Chase & Simon, 1973; Hambrick & Engle, 2002)." 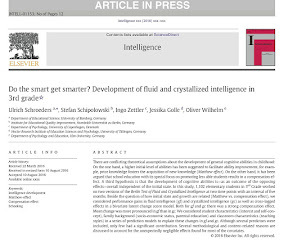 "In the second perspective on how growth in intelligence is related to baseline levels, the gap between more and less capable individuals closes with time. Assuming that the change in both hypothetical sub-groups is still positive, less able test takers catch up (Fig. 1, Panel C). In the school context, the psychological mechanism behind such a com-pensation effect is at first glance somewhat obscure, especially if one takes into account that achievement differences tend to increase over time. This putative contradiction can be solved by assuming that school education especially promotes students with lower abilities during the school year, but that the achievement gap enlarges during vacations (Alexander, Entwisle & Olson, 2001; Cooper, Nye, Charlton, Lindsay & Greathouse, 1996). However, a compensation effect could also result from a lack of support for talented students. Snow (1989, p. 871) inci-sively pointed to the conflicting aims of education in school, that is, “maximize achievement outcome for all students while minimizing achievement variations among them”, which is often “resolved” by tailoring instructions to the needs of less able students." Thompson v Florida decision for a new evidentiary hearing, in light of Hall v Florida, can be found here. OPINION: Later this month, Texas' legal standard on the intellectually disabled will be examined. In Atkins v. Virginia the U.S. Supreme Court, in 2002, ruled that the Eighth Amendment's cruel and unusual punishment clause prohibits the execution of persons with intellectual disability. Given that intellectual disability is a long-­standing, well-established clinical diagnosis, the court naturally relied upon the scientifically valid, clinical consensus definitions of intellectual disability in creating the categorical bar. 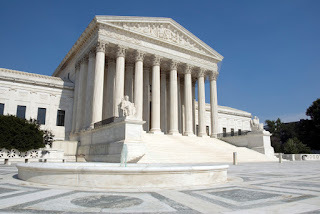 Since Atkins, several states, ­primarily Florida and Texas, have exhibited displeasure with — and resistance to — the Supreme Court's decision by embracing nonclinical and unscientific practices that are intended to limit the effect of the constitutional mandate. In Hall v. Florida, the Supreme Court, in 2014, addressed and rejected Florida's "bright line" 70 IQ score cutoff test for assessing intellectual disability, finding it fundamentally at odds with the generally accepted understanding that intellectual disability is "more than a number." This brought Florida back in line with the current science of intellectual disability. This term, when Moore v. Texas is argued on Nov. 29, the court will consider Texas' attempt to make death row inmates' assertions of intellectual disability extremely difficult to establish. Shortly after Atkins, the Texas Court of Criminal Appeals, in Jose Briseno's case (ex parte Briseno), expressed its dissatisfaction with the Atkins decision, declaring that its task was to determine "that level and degree of [intellectual disability] at which a consensus of Texas citizens would agree that a person should be exempted from the death penalty." However, that was simply wrong. The Supreme Court had already decided in Atkins that any person with intellectual disability is exempt from the ultimate punishment. The court did not give Texas license to decide that some persons who have intellectual disability can nevertheless be executed because they do not have the "degree" of intellectual disability meeting a Texas-centric consensus. But that is what the state court did. After explaining that the fictional character Lennie from Steinbeck's "Of Mice and Men" would meet Texas's definition, it created out of whole cloth seven "evidentiary factors" for Texas courts to consider in assessing claims of intellectual disability. The so-called Briseno factors are steeped in misconceptions and lay stereotypes of intellectual disability, and include clinically meaningless considerations, repudiated by the medical community, such as whether an individual's family and friends considered him intellectually disabled during his childhood and whether a person is capable of lying and hiding facts. The Briseno factors are idiosyncratic to Texas. No other state has embraced them for use in capital cases where intellectual disability is at issue. In fact, even within Texas, the Briseno factors are not used in any other medical or legal context, like disability benefits or special-education determinations. The Texas capital-punishment system is, in short, an outlier. And its use of the aptly named "Lennie standard" explains why death row inmates with very strong claims of intellectual disability (such as Bobby Moore) routinely have those claims rejected. Texas has one of the lowest defendant success rates in the Atkins context in the nation. The Supreme Court in Hall made clear that states' intellectual-disability determinations must be "informed by the medical community's diagnostic framework." Texas' use of the fictional character Lennie in establishing the intellectual disability baseline, combined with the creation and application of the Briseno factors, violates this requirement. The clinical consensus definition of intellectual disability has three prongs: (1) significantly subaverage intellectual functioning; (2) significant deficits in adaptive functioning; and (3) onset in the developmental period. In Hall, the Supreme Court corrected Florida's deviation from the diagnostic framework on prong 1 by rejecting the state's bright-line rule that a person must have an IQ of 70 or below, regardless of the standard error of measurement inherent in any test of intelligence. 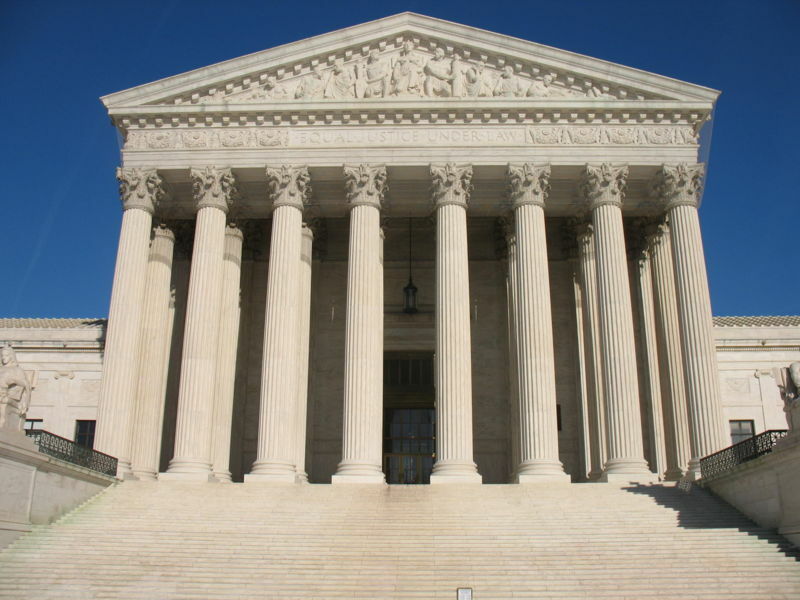 The Moore case presents the Supreme Court with Texas' nonscientific gloss on prong 2. Since Briseno, Texas courts have assessed adaptive deficits based on misconceptions about intellectual disability. Texas courts have used a person's ability to perform basic life functions like holding an unskilled job, surviving on the streets or obtaining a driver's license to negate compelling evidence of intellectual disability. But the medical community recognizes that many people with intellectual disability can perform these functions, and giving dispositive weight to perceived "strengths" while ignoring deficits is at odds with the basic diagnostic criteria. The Supreme Court in Moore now has the opportunity to at least partially fix the underenforcement of Atkins in Texas. A trial judge, after hearing the testimony of several expert witnesses, concluded that Bobby Moore was a person with intellectual disability and that his death sentence should be commuted to life imprisonment without the possibility of parole. Using the strict nexus requirement and the Briseno factors, the Texas Court of Criminal Appeals overturned the lower court's judgment. In doing so, the state court rejected the consensus clinical definition of intellectual disability and failed to use the scientifically mandated diagnostic framework. Intellectual disability should not mean something different in Texas capital cases than it does in other death penalty jurisdictions. The Atkins court spoke of the risk of the wrongful execution of persons with intellectual disability. That risk is currently a reality in Texas and it is time for the Supreme Court to change that. 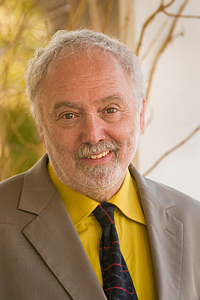 John Blume is the Samuel F. Leibowitz Professor of Trial Techniques at Cornell Law School. I am a HUGE fan of data visualization and network theory and analytics. I think these techniques, when applied to intelligence test data, could provide us much more important insights than the continued use (misuse?) of linear SEM/CFA models. Network visual models are elegant...and more reflective of "reality". This is a very good TED talk. Shout out to Guy McBride, John Willis, and Ron Dumont for reminding me that all relevant briefs and SCOTUS related documents for Moore v Texas are available at the SCOUTUS blog. I clearly had a brain spasm as I monitor the SCOUTUS blog regularly. Thanks guys. An update on the Moore v Texas (2016) case before SCOTUS. 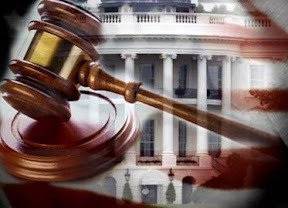 The American Psychological Association (and other mental health organizations) have filed an amicus brief that primarily challenges the Texas Briseno adaptive behavior factors. Click here to access the brief. I have yet to locate a copy of the AAIDD amicus brief. The ability of police and jurors to make informed, unbiased decisions is paramount to the integrity of the legal system. Police and jurors as decision-makers follow procedures ensuring that individuals receive a fair trial from the time of arrest to sentencing. However this process has come under public scrutiny with recent negative media attention focused on police shootings, aggressive handling or interrogation of suspects, and jurors’ seemingly biased treatment of minority group members. Most researchers studying factors that motivate police and juror behavior focus on the external influences of decision-making, such as the climate of violence in a neighborhood, or culturally-entrenched criminal stereotypes. Fewer have focused on the cognitive factors that impact the internal decision-making processes. In this review we compile the research on individual differences in cognitive ability (e.g., working memory capacity) and event circumstances (e.g., high emotion, attention load), that influence police and jury decision-making. The majority of studies in this area are laboratory-based which may attenuate the transfer of findings to real-world settings, but cognitive mechanisms engaged in the field are likely similar. Overall, this review suggests that overload of cognitive capacity reduces controlled processing ability, which may work to undermine the reliability of decision-making at all phases of the legal process. Field studies are needed to better understand when decision-makers may be overburdened, and what interventions are most appropriate. My long time professional colleague Dr. Stephen Greenspan, is conducting a featured conversation hour for Division 33 at the forthcoming APA convention in Denver. He has provided me an advanced copy of his outline and has graciously given me permission to make it available at the ICDP blog. A copy can be obtained by clicking here. Stephen is one of the great "thinkers" in the field of intellectual disabilities. Our professional lives crossed long distance when I was a doctoral student. My advisor, Dr. Robert Bruininks, put me in charge of a series of studies investigating the constructs of adaptive and maladaptive behavior. These studies eventually led to my dissertation--which was a CFA validation study of Greenspan's Model of Personal Competence (see 1990 reference below). To the best of my knowledge, this was the first published article validating Greenspan's model. Below are links to the various articles (I simply grabbed them from my MindHub web page--please visit if you want additional information). Consistent with Stephen's outline notes, in this validated model of personal competence, conceptual intelligence was operationalized as measured by intelligence tests, and was not considered a domain of adaptive behavior. Of interest is the recent study by MaCann et al. that provides structural (CFA) evidence for a separate cognitively oriented social-emotional construct, distinct from the other cognitive domains in the CHC taxonomy of human intelligence. Although MaCann et al. refer to the construct as emotional intelligence, a reading of the dimensions suggest it could easily be called social intelligence. Finally, as Bruininks and I were pulled away from our AB/PC program of research for different reasons, I continue to be perplexed why other researchers have not tried to extend and refine the research on the model of personal competence, particularly given its prominence (and disagreements) in definitions of ID. Thompson, J. R., McGrew, K. S., & Bruininks, R. H. (2002). Pieces of the puzzle. Measuring the personal competence and support needs of persons with intellectual disabilities. Peabody Journal of Education, 77(2), 23-29. Thompson, J., McGrew, K. & Bruininks, R. (1999). Adaptive and maladaptive behavior. Functional and structural characteristics. In R. L. Schalock & D Braddock (Eds), Adaptive behavior and its measurement: Implications for the field of mental retardation(pp. 15-42). Washington, DC. American Association on Mental Retardation. Widaman, K. & McGrew K., (1996). The structure of adaptive behavior. In J.W. Jacobson & J.A. Mulick (Eds. ), Manual of diagnosis and professional practice in mental retardation (pp. 97-110). Washington, D.C. American Psychological Association. McGrew, K., Bruininks, R., & Johnson, D. (1997). Confirmatory factor analysis investigation of Greenspan's model of personal competence. American Journal on Mental Retardation, 100(5) 533-545. Greenspan, S., & McGrew, K. (1996). Response to Mathias and Nettlebeck on the structure of competence. Need for theory-based methods to test theory-based questions. Research in Developmental Disabilities, 17, 145-152. Bruininks, R., Chen, T., Lakin, C., & McGrew, K. (1992). Components of personal competence and community integration for persons with mental retardation in small residential programs. Research in Developmental Disabilities, 13, 463-479. Ittenbach, R., Spiegel, A., McGrew, K., & Bruininks, R. (1992). A confirmatory factor analysis of early childhood ability measures within a model of personal competence. Journal of School Psychology, 30, 307-323. McGrew, K., Bruininks, R., & Thurlow, M. (1992). Relationship between measures of adaptive functioning and community adjustment for adults with mental retardation. Exceptional Children, 58, 517-529. McGrew, K., Ittenbach, R., Bruininks, R., & Hill, B. (1991). Factor structure of maladaptive behavior across the lifespan for persons with mental retardation. Research in Developmental Disabilities, 12, 181-199. McGrew, K., & Bruininks, R. (1990). Defining adaptive and maladaptive behavior within a model of personal competence. School Psychology Review, 19, 53-73. McGrew, K., & Bruininks, R. (1989). The factor structure of adaptive behavior. School Psychology Review, l8, 64-8l. Bruininks, R., McGrew, K., & Maruyama, G. (1988). Structure of adaptive behavior in samples with and without mental retardation. American Journal on Mental Retardation, 95(3), 265-272. Freeman, Nerelie C.; Gray, Kylie M.; Taffe, John R.; Cornish, Kim M.
MOORE, BOBBY J. V. TEXAS The petition for a writ of certiorari is granted. One question presented relates to Texas’s problematic, non scientific Briseno factors for adjudicating Atkins claims. SCOTUS Blog has all the papers here. The following article is "in press" in Law, Probability and Statistics. A preview can be found here. cruel and unusual punishment precludes capital punishment for intellectually disabled offenders. Death-penalty states responded with laws defining intellectual disability in various ways. In Hall v.
article uses more complete statistical reasoning to explicate the Court’s concept of unacceptable risk. The Eastern District U.S. Attorney's Office will appeal a judge's decision to vacate a death sentence for a man convicted of murdering two police officers. Prosecutors filed notice Tuesday saying they would challenge the decision to undo Ronell Wilson's death sentence. Eastern District Judge Nicholas Garaufis said Wilson was ineligible for capital punishment because he was intellectually disabled in the eyes of the law (NYLJ, March 16). Garaufis had ruled in February 2013 that Wilson was not intellectually disabled and, therefore, eligible for capital punishment. Later that year, a jury said Wilson deserved death for the 2003 killings of undercover detectives Rodney Andrews and James Nemorin. Wilson appealed, and the U.S. Court of Appeals for the Second Circuit sent the case back to Garaufis to review Wilson's mental capacity in light of a 2014 U.S. Supreme Court case, Hall v. Florida, 134 S. Ct. 1986. On March 15, Garaufis said he would impose life imprisonment without the possibility of parole based on a "careful interpretation of evolving Supreme Court precedent and a sober review of the evidence." Wilson was convicted of the crimes in 2006; the same jury voted for execution. In 2010, the circuit kept the jury's guilt determination intact, but ordered retrial on the penalty phase. Assistant U.S. Attorney Amy Busa filed the notice of appeal in U.S. v.
Some press coverage re Ronell Wilson decision. Yesterday the prior decision (Wilson v US/NY, 2014) to not excuse Ronell Wilson as per Atkins, was overturned. The new 2016 decision can be found here. Wilson is currently the only individual on death row in NY as per the federal death penalty (click here for prior post). This has been a very high profile death penalty case. As per my policy, being one of the "six experts" mentioned in the decision as having provided an expert declaration, I will not comment on any aspects of the court decision. A initial brief was recently filed with the Florida Supreme Court in the Atkins appeal of Nixon (Nixon v Florida). A prior 2009 court decision can be found here.